That little red square off by itself on the coast of southern California is the quake that just happened. We can go years without feeling an earthquake, but the earth seems very active these days with big quakes in Chile, Baja, and China. Earthquake activity in Baja is continuing after the Easter quake (see map above), but we don’t feel them. Living in earthquake (or hurricane, or tornado, etc.) country means that we should always be prepared to get by for a week or two on our own before help arrives. We keep a water supply plus dried and canned food for emergencies. 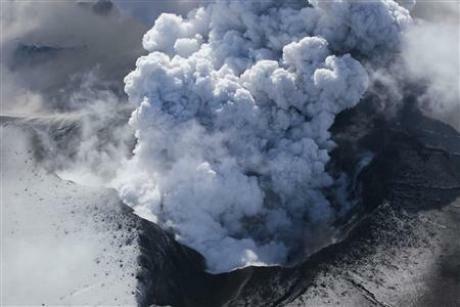 This is a photo by Lucas Jackson for Reuters of the volcanic eruption in Iceland. I suppose a silver lining to this ash cloud is that it will cool off the planet a bit and help offset global warming. This will buy us a couple more years time. But if we don’t reduce carbon dioxide and methane emissions, the cooling will be temporary. 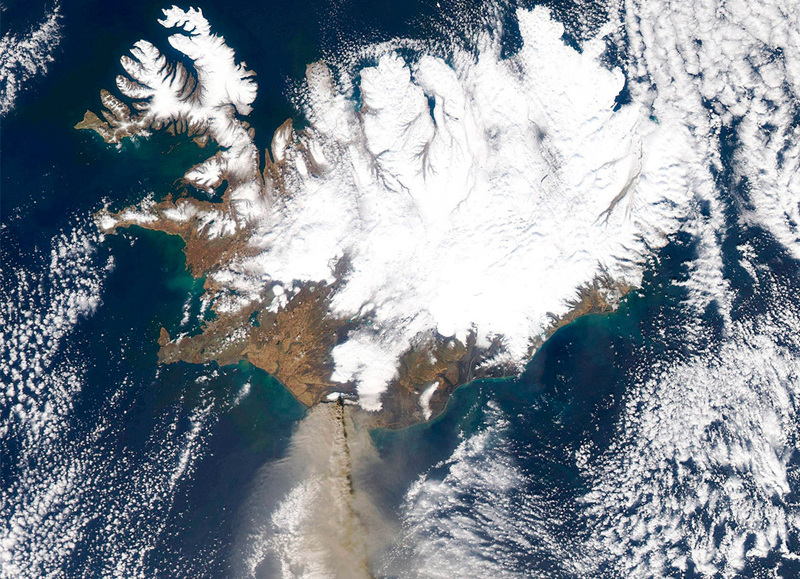 The volcanic dust will block some of the sunlight that would normally reach Europe and possibly Russia this spring. If the eruption continues, we may experience less sunlight here in the U.S. as well. I wonder if crops will be affected. If they are, then the cost of food will go up. Life is uncertain. That is just one more reason why I garden and keep hens. I want at least the illusion of food security. I try to grow a wide variety of things that are planted at different times to hedge my bets. If one crop fails, perhaps a different variety or the same one planted at a different time will produce. 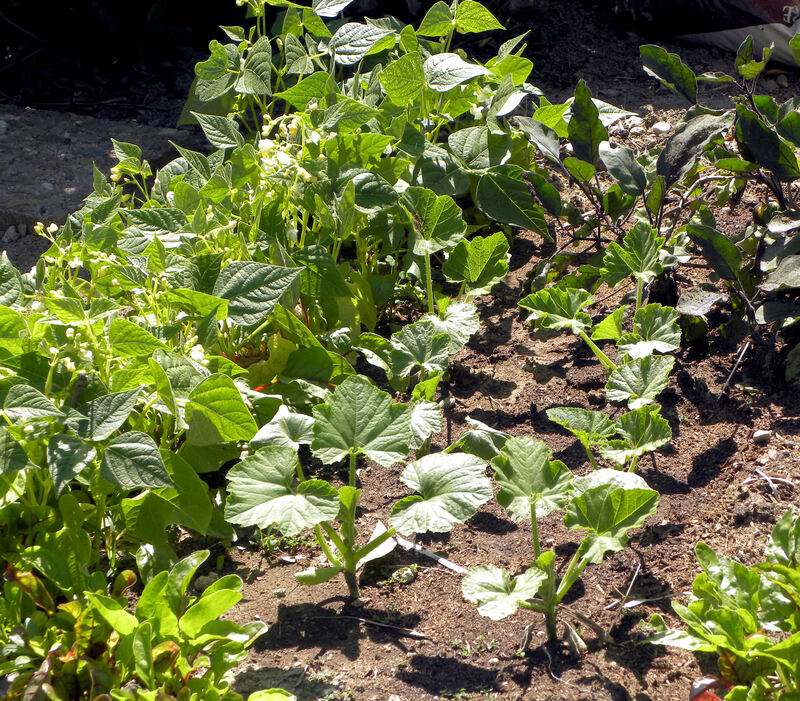 Wax beans, patty pan squash, eggplant and chard promise a good harvest. The tiny bit of fruit and veggies that I’m able to grow won’t keep us from starving to death if a global crisis occurs, but it brings me comfort to know that I have at least some food in my yard. Our garden is a form of insurance, a hedge against natural (or unnatural) disasters and the vagaries of weather and climate. For some fabulous photos of the Icelandic volcano and its affect on the surrounding countryside, visit http://www.boston.com/bigpicture/2010/04/more_from_eyjafjallajokull.html. This entry was posted in Uncategorized and tagged climate change, earthquake, food costs, food security, global warming, Iceland volcano. Bookmark the permalink. We also felt it, as we are less than a block from the Santa Ana river, about a mile and a half inland. The jolt was just as you described. I, too, wonder if that cloud of ash will affect crops. I did hear some expert say, the other day, that the ash is not as high as the Krakatoa explosion was, and won’t drift as far. Cold comfort for Europe! Cold comfort indeed, Kathy. In the long run, volcanic ash improves soil, but in the short run it blocks sunlight. Every single gardening year seems different from previous ones, a fun challenge. Fascinating to learn that the atmosphere filling with volcanic ash will help cool the earth and improve the soil – that’s a good thing! My (Japanese) husband just thought the volcanic eruption was Mother Nature farting at Europe…..
Ohmigod, Brenda, that’s hysterical. Ash farts? I don’t think so. Hey, don’t those things belch out a lot of sulfur and methane gas?? The ones in Japan sure do! Oh, you’re right, Brenda. The methane release might negate any global cooling effect.